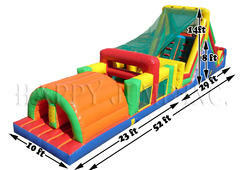 Perfect for School Fun Days, Church Group events and Corporate team building activities. 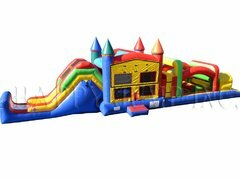 These large inflatable challenge course will have your guests racing to crawl through tunnels, navigate popup obstacle, and then make the big climb to slide down to the finish. 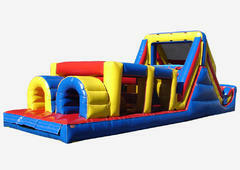 Great for all ages and skill levels. Browse the selections below and click on the "More Info" link to get more information and to make a reservation.